The February edition is nearly here! 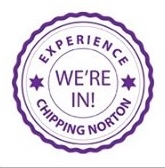 Most of you will know that the Chipping Norton News doesn’t publish a January edition – instead, we have a bumper December/January edition, published at the start of December. This means we have had the whole of January to accumulate more news, features, arts stories, sports, and all our usual sections – so look out for your full-to-the-brim February edition of the News, which will be hitting the town on 7 February. It’s nearly here – and there’s a surprise for regular readers, too!